The other day I received a remarkably big shipment, corresponding to my reward for contributing to the crowdfunding project organised by Cervesa Montseny. 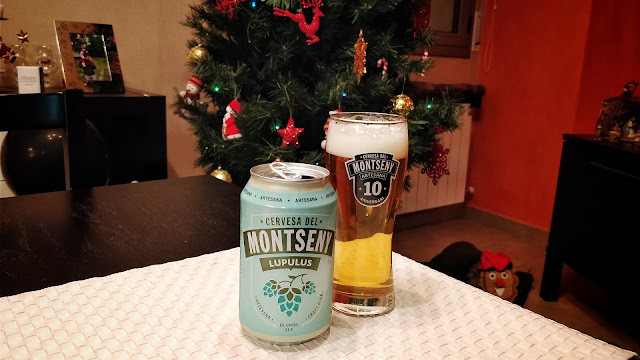 Coinciding with its tenth anniversary, they wanted to take another step forward by presenting some of their beers canned, and to finance the whole thing they resorted to their followers. I was enjoying one Lupulus can -by the way, big change eh?- when I began pondering about everything that has happened during all this time, so that I could be at home drinking that specific variety of beer so utterly fresh; in that format that a few years before was associated with cheap, poorly tasting beer; and in a glass with a relevant symbolic charge. I took a picture, and then I started writing. 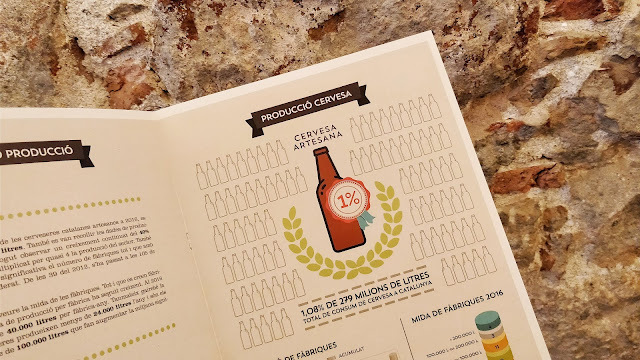 This morning, the Gremi d'Elaboradors de Cervesa Artesana i Natural de Catalunya -Union of Craft and Natural Beer Producers from Catalonia, known as GECAN- and the Barcelona Beer Festival have presented the report Estat de la Cervesa Artesana a Catalunya 2016 -State of Craft Beer in Catalonia 2016-, a study that compiles and talks about data collected from a survey of eighty-two questions, asked to 95 of the breweries in the territory. The key aspects of the report relate to the location of the companies, the production in volume and variety, the size of the businesses and the occupation generated, distribution of the sales or lines of action for the future. "The 1% threshold has been exceeded: one of every hundred beers consumed in Catalonia is craft"
There are many circumstances that cause my rate of publication on the blog to be irregular: from family matters to work peaks, as well as the effective distribution of my spare time in cultural activities, sports and other projects. Today, I am pleased to present the result of a few hours devoted to this last category early this year. 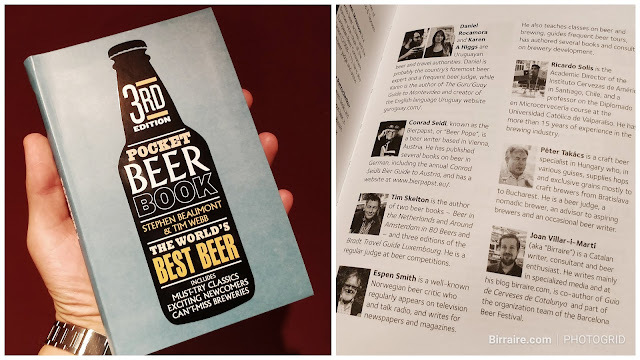 The Pocket Beer Book 3rd Edition -Best Beers, in America-, by Stephen Beaumont and Tim Webb, was published by Mitchell Beazley -Octopus Publishing- a few weeks ago, on November 2nd. In a format that, as the title itself suggests, is indeed compact, the work includes an extensive collection of beers from more than 60 countries around the world. All of them are briefly reviewed, while those 'iconic', 'must-try' and 'to watch' breweries that a beer enthusiast can find are conveniently highlighted.